During the review process, additional operational issues became apparent. For example, the model operated through a series of Excel spreadsheets, which had to be completed manually, by a process of copying and pasting data from one spreadsheet to another… in a January 23, 2012 e-mail to the modeler, the trader to whom the modeler reported wrote that he should “keep the pressure on our friends in Model Validation and [Quantitative Research].” There is some evidence the Model Review Group accelerated its review as a result of this pressure, and in so doing it may have been more willing to overlook the operational flaws apparent during the approval process. No audit trail. By themselves, without some additional tools/solutions and significant configuration, spreadsheets do not have inherent audit trails. You cannot go back and state that you know with a specific level of certainty that those answers were gathered from that specific individual on this date and time and represent their actual, unaltered, authenticated answer to that survey, assessment, analysis, policy attestation or audit. Easy to manipulate. It is a simple task for anybody to go back and manipulate responses to paint a rosier picture to get himself or herself, someone else, or the organization out of hot water. Someone can easily go back and cover their trail when there is no audit trail and authentication happening that tracks changes, what those changes were, who made them, and keeps a record of all changes. Slipping through the cracks. There is no structure of required workflow and task management. Things quickly become impossible to manage in spreadsheets and emails asking for assessments to be done, audit findings to be responded to, policy attestations to be made . . . and no one gets it done. It ends up in the trash, junk folder, filed away, and never responded to until someone is screaming. No consistency. It is hard to make assessments, surveys, attestations, policies and other GRC related information consistent. If a new assessment is needed – we just open up a spreadsheet and create a new assessment from scratch and fail to realize that there is another assessment asking the same people half of the same questions as our new assessment. Further, different spreadsheets are formatted in different ways and each requires its own learning curve. Compilation nightmares. 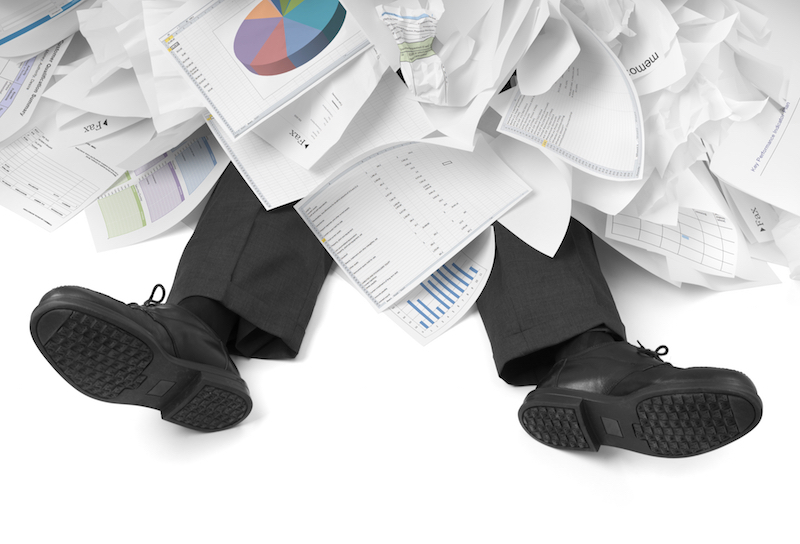 Have you ever been asked to compile reports involving hundreds or even thousands of spreadsheets? If you are a GRC professional the odds are you have. My research and interviews with organizations find that it often takes 80+ man-hours to compile GRC (risk/compliance/audit) reports from mountains of spreadsheets. There is a significant amount of time needed to integrate and compile information. Myself, I would not be interested in a job very long where 80% of my time is cut, paste, manipulate data for reports. My interest is in analysis and managing risk and compliance not in cut and paste – that is what I did in kindergarten. Compilation errors. At the end of the day, all this work compiling and integrating hundreds to thousands of spreadsheets is inevitable failure. Odds are there is something wrong. That much manual reporting is bound to have serious errors. Not malicious, but inadvertent. It happens all the time.